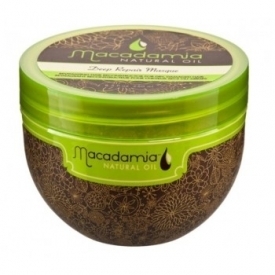 An intense, revitalising hair treatment, Macadamia Natural Oil Deep Repair Masque rejuvenates and rebuilds your hair, leaving it deeply nourished with improved elasticity and shine. With a nourishing combination of the world’s most rare, valuable and lightweight natural oils, macadamia oil and argan oil, along with tea tree oil, chamomile oil, aloe and algae extracts, Macadamia Natural Oil Deep Repair Masque is full of long lasting conditioning benefits. For best results this paraben free hair treatment should not be used more than twice a week. For an ultra conditioning and reparative treatment, add a small amount of Macadamia Healing Oil Treatment to the Deep Repair Masque application. Leave in for 5 to 10 minutes to penetrate the cuticles of the hair. •Apply a small amount to towel dried hair. •Rinse thoroughly with warm water. •Do not use more than twice a week for best results. Aqua, Cetearyl Alcohol, Glycerin, Cetrimonium Chloride, Quaternium-80, Amodimethicone, Ricinus Communis Seed Oil, Parfum, Algae Extract, Tocopheryl Acetate, Melaleuca Alternifolia Leaf Oil, Anthemis Nobolis Flower Oil, Aloe Barbadensis Leaf Extrac, Macadamia Ternifolia Seed Oil, Argania Spinosa Kernel Oil, Limonene, Butylphenyl Methylpropional, Hexyl Cinnamol, Linalool, Citronellol. I recieved a large tub of this and was excited to try it as i had heard a lot about it(all good). I slathered it onto my hair and left for about 10 minutes before rinsing and my hauir was left unbelievably soft and i noticed once it hasd dried my hairt felt so soft and also looked a lot thicker too which is great for someone like me with quite thin hair. My hair felt and looked so healthy. 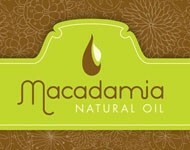 I also had someone comment on how soft my hair looked and asked what i used they were familiar with the macadamia brand and agreed that it is a quality product that she uses in her salon. I couldnt recommend this product highly enough,its fab! I'm so glad you love this too! It's a great range! Easy to use, great scent and nice tub. I bought myself a treat and got a tub of this wonderful hair masque. The tub is really nice and looks good. The cream is of a wonderful thickness (Not too thick actually, runnier than I originally thought it would be, but thick enough to coat the hair well) and is so easy to apply to the hair. The colour of the masque is a very pale tangerine colour and has a really fruity scent. I was expecting quite a nutty scent, but the scent is really wonderful. I left it on for over 10 minutes and it was so easy to rinse off, did not leave hair greasy. After blow drying my hair, my hair was so sleek and straight and really soft. My hair has not looked this good in a long time. It is not flyaway and I am really shocked at how my hair looks and feels. The usually dry ends actually look freshly cut. Amazing! I would recommend this to anyone who needs a bit of hair repair. Best Masque I Have Ever Used! I recently purchased this range for my coloured and dry hair. I am absolutely stunned by the results! This range contains no parabens, chemicals or chemicals that can strip your hair of its natural oils and nutrients. The consistency of mask is a very thick silky white cream with a gorgeous fruity sweet fragrance that leaves your hair subtly scented. This mask is highly concentrated and I only need one tablespoon of product for my past shoulder length hair. Mask can be applied to damp or dry hair and after combing through you leave for 5-10 minutes for the best results. The product penetrates the hair shaft without the need for covering or heat and the added ingredients of tea tree oil, chamomile oil, aloe and algae are soothing on the scalp. After 10 minutes you simply rinse the mask away with warm water. After drying my hair looks healthy, with unbelievable shine and bounce, like it was before I ever chemically treated my hair. There is no trace of flyaway, brittleness or dryness and my hair is so soft to the touch. My colours look more vibrant and the health of my hair is restored. I use this mask twice a week for optimum results. I adore the packaging for this range which consists of an earth brown full wrap design with lime green lids and labels. I am so impressed by this new range and the results are immediate and amazing! I cannot recommend highly enough! "I recieved a large tub of this and was excited to try it as i had heard a lot about it(all good). I slathered it..."